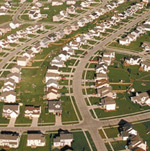 10 December 2009: A characteristic of American metropolitan areas is residential segregation by race and class. “If you give me a person’s address, I can almost always tell you his income, the quality of public schools his children attend, and the color of his skin,” says William A Johnson, Jr., former mayor of Rochester, New York. A bill recently introduced in the US Congress  the Livable Communities Act of 2009  is perhaps the first federal effort in decades with the potential to begin to break down the barriers that separate municipalities within the same metro area racially, socially, and economically. The proposed legislation would create two grant programs. One program will fund the development of comprehensive regional plans that coordinate land use, housing, transportation, economic development, and infrastructure planning. To receive funding, individual municipalities will be required to work together to create the regional plans, including goals and implementation strategies. They would also have to make local zoning and other code changes necessary to implement the regional plans. The second grant program created by the Livable Communities Act provides funds to pay for the projects and initiatives recommended in the regional plans. US Census data show that most American metro areas face similar challenges due to uncoordinated growth. Over the past 25 years, metropolitan areas have sprawled outward to occupy an additional 20 million acres of previously undeveloped land. Traffic congestion has increased 500 per cent over the same period, as has the cost of transportation for the average household. Fifty-four per cent of renters spend more than 30 per cent of their income on housing, and there is a shortage of 3 million units of affordable housing for the very poor. These challenges are not distributed evenly within a metro area. Municipalities with land to expand generally experience growth in higher-income residents, jobs, and property tax revenues as they sprawl. Too often, this growth comes at the expense of neighboring communities closer to the geographic center of the metro area that are fully or nearly built-out. Cities and inner suburbs thus become home to the demographic groups, which most need affordable housing and public transportation. A structure of fragmented local governments within a metropolitan area is often identified as a primary cause of residential segregation. Autonomous and independent local governments, for example, can use their zoning laws to maintain economic exclusivity by requiring large residential lot and home sizes, thus preventing all but the wealthiest residents from living in their communities. Class distinctions in America divide along racial lines, increasing the scope and depth of residential segregation. The Livable Communities Act aims to convert local control from a problem to a solution. It provides funding for localities to work together to plan affordable homes for workers near transit to increase affordability and reduce traffic congestion and pollution. It provides funds to improve public transportation and create pedestrian- and bicycle-friendly main streets. It also requires the federal government to coordinate its policies and resource allocations in these areas. The proposed legislation is based on the assumption that economic and racial segregation in housing in any part of a region hurts the whole region. While scholars produce compelling data that this is indeed the case, and policymakers pay lip service to the idea of regional cooperation, the status quo of competing local governments continues to reign in the US. In reality, few local elected officials are willing to sacrifice for the greater good. The Livable Communities Act aims to alter the status quo. It recognizes, for example, that 30 per cent of the current demand for new housing in the US is for housing in dense, walkable, mixed-use communities, and that less than two per cent of new housing is in this category. It recognizes that there is a rapidly growing demand for public transportation, and that satisfying this demand would help the US become more energy independent, since transportation accounts for 70 per cent of the oil consumed in the US and one-third of its carbon emissions. In other words, the power of the Livable Communities Act is that it uses market-based incentives to increase sustainable development and decrease residential segregation. “It’s a major step forward,” says Mayor John DeStefano of New Haven, Connecticut. The Livable Communities Act was introduced in the US Senate by Senator Christopher Dodd in August 2009. A companion bill was introduced in the House of Representatives in November. The Livable Communities Act has garnered significant support, but is not likely to move through Congress until other major issues like health care and Afghanistan are resolved. It remains to be seen if the clout of federal funding is enough to persuade local officials to change the course of their policies regarding land use, transportation, housing, and economic development. However, few bills in recent years have offered so much promise to US cities. If the Livable Communities Act is enacted and implemented as intended, metropolitan areas would begin work on long-term development planning projects that could impact how race and class play out in housing, education, society, and the economy for the next generation. As Portland, Oregon Mayor Sam Adams says,”Portland is a great city, but it’s not great for everyone.” This proposed legislation could help Portland and other US cities meet some of their most daunting challenges. 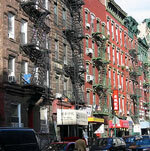 The United States government defines affordable housing as housing for which the owner or tenant pays 30 per cent or less of his or her income. Using this standard, the National Low Income Housing Coalition calculates that nearly 95 million Americans - 35 per cent of US households - have a housing affordability problem. Rising housing costs have created a housing shortage not only for lower-income groups that traditionally face housing challenges  people with disabilities, those in transition, and immigrant families  but also for teachers, nurses, firefighters, police officers, and other moderate-income workers. American cities are at the center of the crisis. Eighty per cent of the 1,000 large and small American cities surveyed by the National League for Cities in 2007 reported that rising housing costs are putting a severe strain on families. For example, Chicago (Population: 2.9m) identified an immediate need of at least 200,000 affordable units; Minneapolis, Minnesota (Population: 383.000) over 50,000 units; and Lodi, California (Population 67,000) 8000 units.